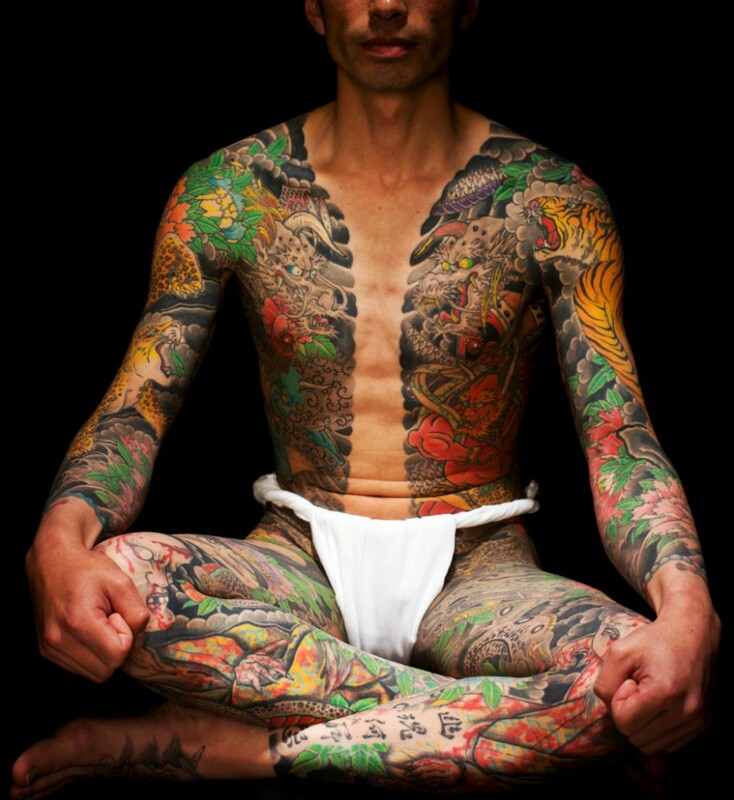 An age-old multi-faceted art, tattooing is one of the most controversial topics in Asia, especially in Japan. Often associated with yakuza and mafia, the act of inking his body makes the Japanese speak, and the 2020 Olympics approach where the tattoos of many foreign athletes will be visible, feeds even more conversations. On the occasion of the Mondial du Tattoo held in Paris from March 9 to 11, 2018, Journal du Japon sent its private yakuza to explore the area. You can find the french version of this article here. The Mondial du Tatouage, what is it ? A convention gathering more than 400 artists, the Mondial du Tatouage is an annual event mounted by French tattoo artist Tin-Tin, president of the National Syndicate of Tattoo Artists (SNAT). The first two editions took place in 1999 and 2000 and after a period of absence, Tin-Tin revived the appointment in 2013. Since 2014, the event takes place at the Grande Halle de la Villette. Beyond highlighting the art of tattooing, the Mondial du Tattoo is also an opportunity for artists on the spot to present some of their works in various competitions and thus to gain the recognition of their peers, the judges being big names in tattooing like tattoo artist Kari Barba, working at Outerlimits Tattoo. 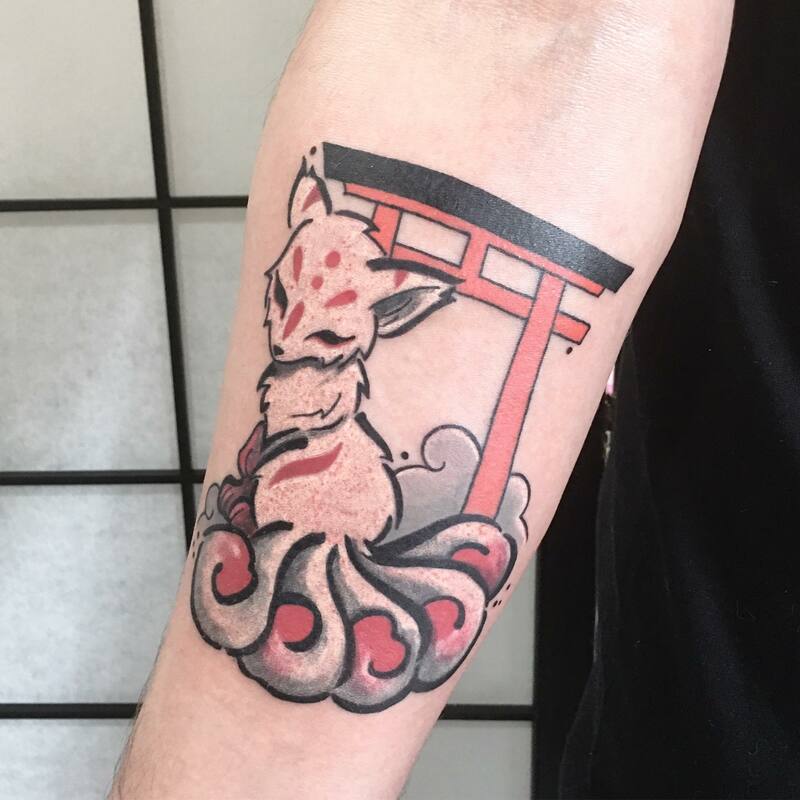 And what about the Japanese tattoo ? 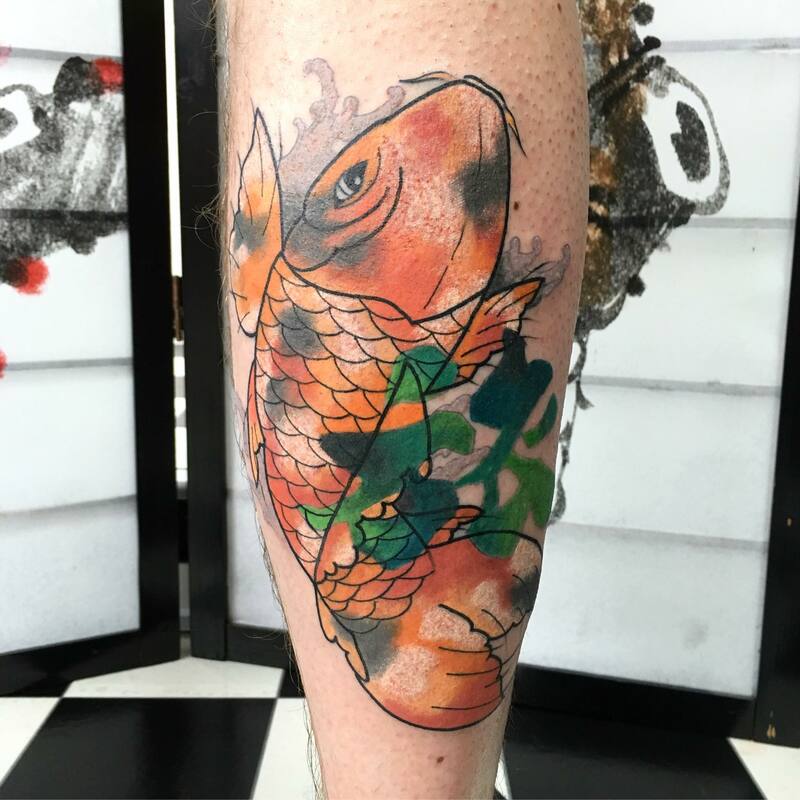 Like every environment, tattoos also know their tendencies and, while maybe ten years ago the so-called tribal tattoo was particularly fashionable, we’ve seen in recent years a certain craze for traditional Japanese art. Nevertheless, few people know that the Japanese tattoo stems from two main movements: the hiromono which means in Japanese « to engrave » and the iremizu whose closest translation means « insertion of ink ». Hiromono is the ancestral art used by indigenous Ainu tribes, an aboriginal population living in northern Japan, who used, and continue to use, tattooing as a means of ornamenting and beautifying the body. wife. Indeed, it is customary to tattoo the girl from puberty until she is married. 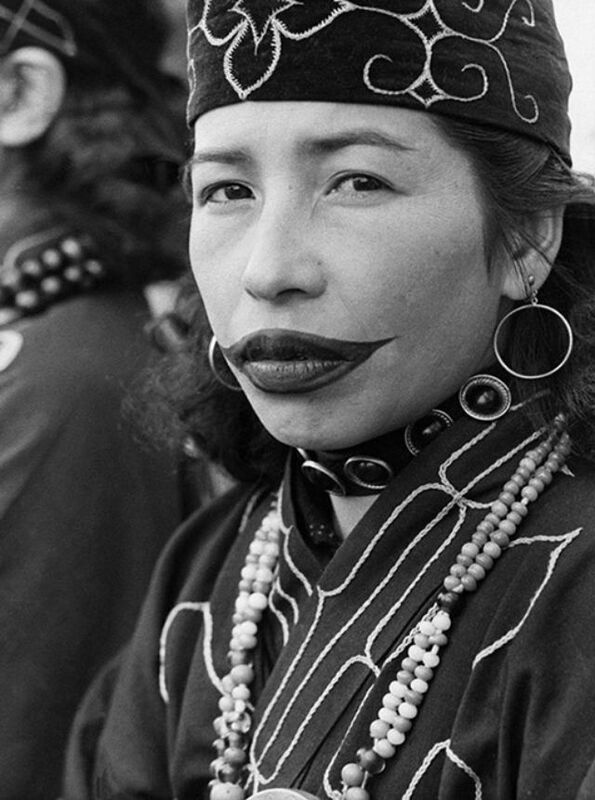 The tattoos of Ainu women are mainly aimed at imitating the beards worn by tribal men. Thus the tattoos that the girls will wear will be mainly located around the mouth then resembling a mustache. Women may also wear patterns consisting of curvilinear geometric shapes on their forearms that they will then have to conceal men, on pain of great misfortune. 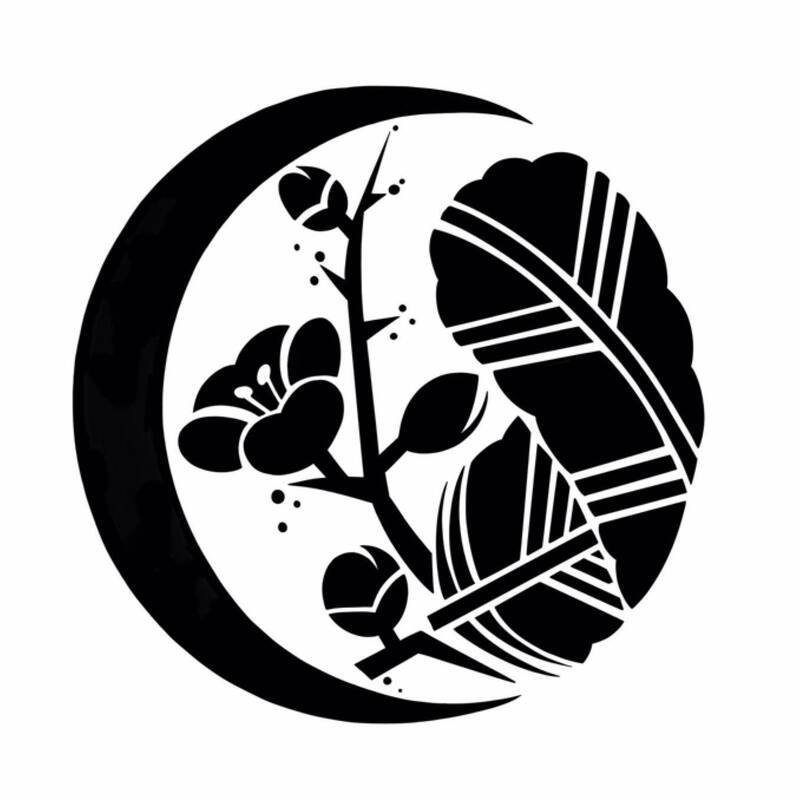 The Ainu being an ancient tribe of hunters, the tattoo also represents a spiritual protection guaranteeing the carrier access to life after death and a place near his ancestors. This art almost disappeared when the Japanese colonists invaded the island of Hokkaïdo and prohibited the female tattoo, having a connotation much too pejorative. This art of tattooing aims to cover large parts of the body such as the back or the legs for example, even the body in its entirety. 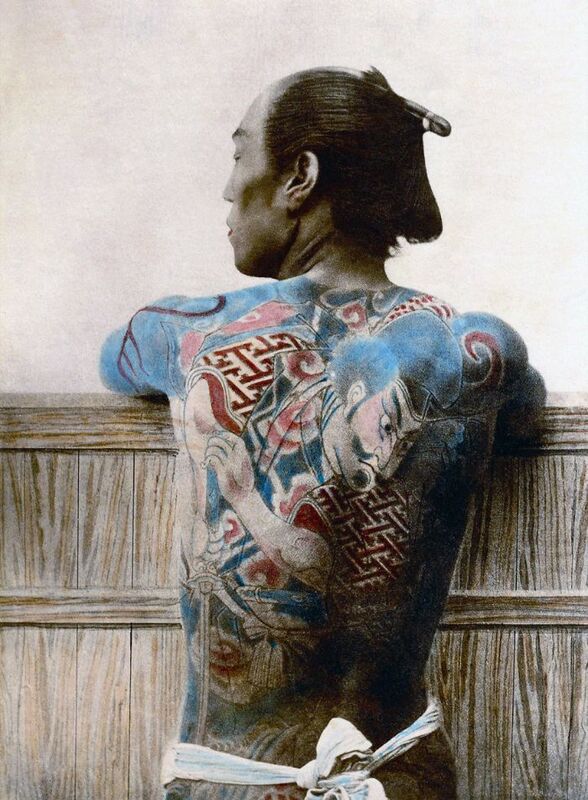 You should know that during the Edo era (1600 – 1868), the tattoo could have two diametrically opposed connotations: some tattoos were the prerogative of heroes while others were that of bandits and criminals. Thus, samurai were often tattooed the emblem of their clan to prove their belonging to the latter and therefore their loyalty to their master. Moreover, during this period of clan wars, these tattoos also allowed to recognize the belonging of the bodies to the different families and thus to ensure the warriors a burial near their ancestors. Just as under the French monarchy the prostitutes were tattooed with the royal lily, the tattoo was also used for marking criminals. This explains the perception that the Japanese have today about tattooing. This is how this art became a symbol for yakuza, demonstrating their belonging to a family and their different values ​​such as loyalty, loyalty or courage. The yakuza tattoo is known to evolve throughout its life, winning in pattern or color depending on the crimes perpetrated. However, nowadays, younger generations tend to choose discretion and abandon the traditional Japanese tattoo in favor of Western motives. 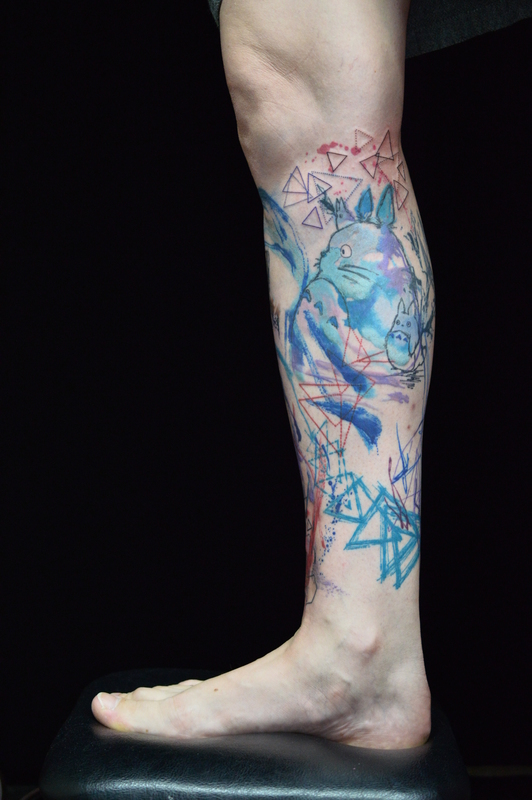 The tattoo in Japan today, how is it? While tattooing is an art that is becoming increasingly popular in the West with more than one in ten French people tattooed according to an IFOP study, the fact of inking his skin does not meet the same craze in Japan. Journal of Japan had the opportunity to exchange with Haruka, Japanese tattoo artist from Studio Muscat located in Shibuya, and Hachii, French tattoo artist from Artemis Tattoo studio. Journal du Japon: Hello to both of you, could you introduce yourself? 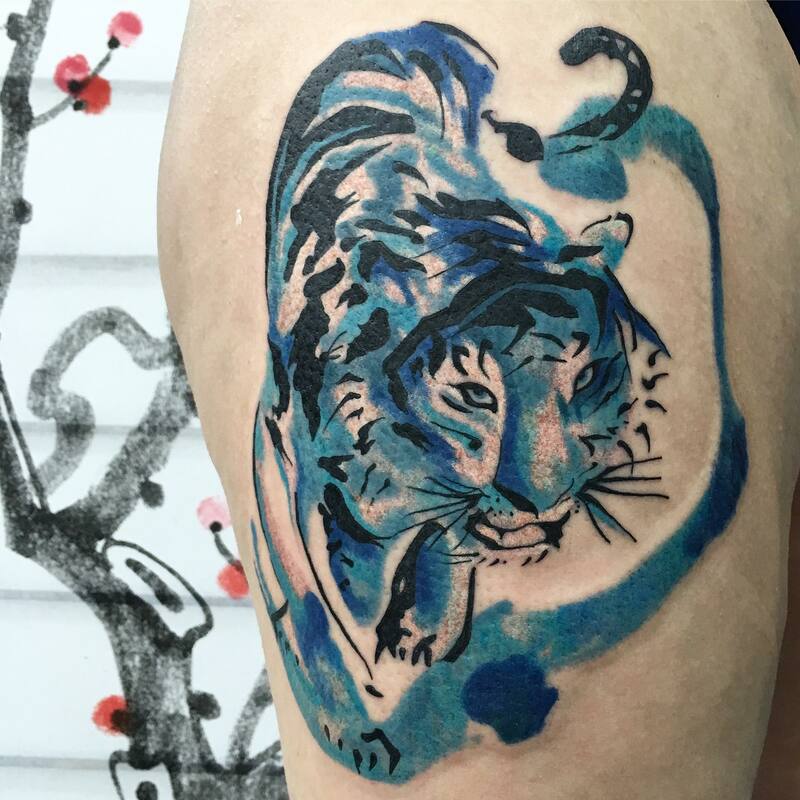 Haruka: My name is Haruka and I have been tattooing for 6 years at Studio Muscat in Shibuya, Tokyo. Hachi: My name is Hachi, I’m 31 years old. I come from Lyon but I live in Tokyo since 2011. You are professional tattooers. How did you know it was what you wanted to do? Haruka: I have always wanted to do a job that I could create that would be different from what most people do. 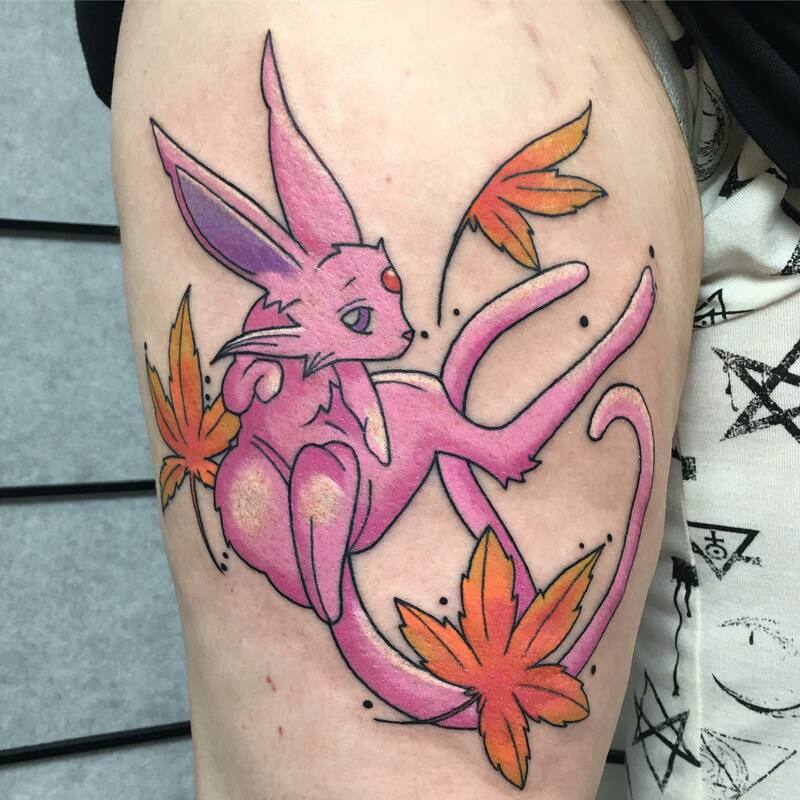 After my first tattoo, which was a kind of lucky charm, I decided to get started and become a tattoo artist! 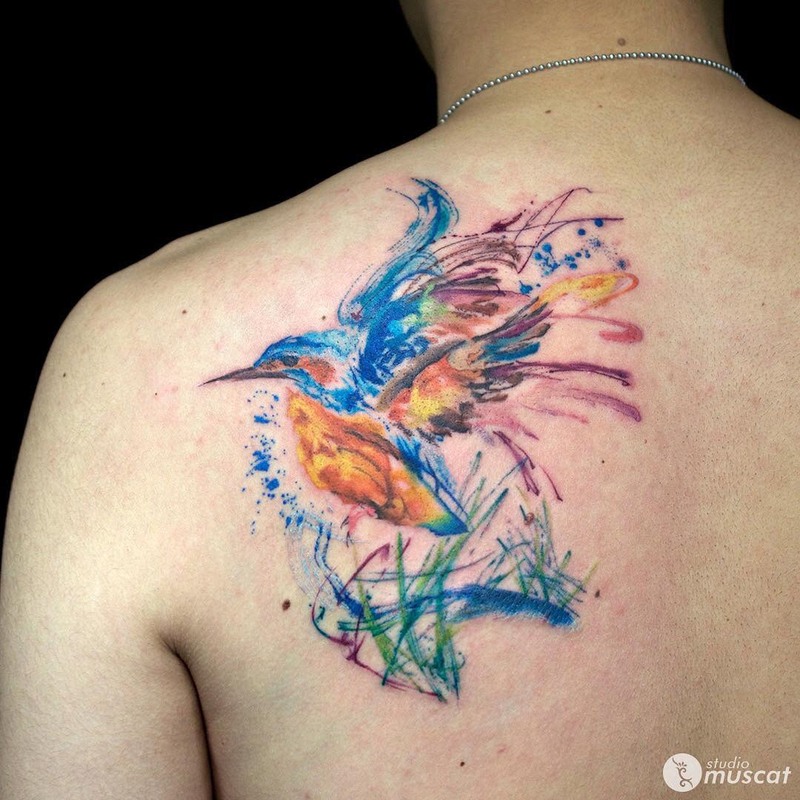 Hachi: I became a tattoo artist « by chance ». I always liked to draw, child I was very introverted. I spent my days reading or drawing and playing video games later. But even if I liked tattooing, I would never have pretended to say, « My drawings are good enough to be engraved forever on the skins of people ». It took the right meeting at the right time for that. It was this meeting and the support of this person that made me what I am today. And I’m very grateful to him. How did your family and your friends react to your choice? Haruka: Some of the older members of my family were less enthusiastic but after a few years they realized that I was able to support myself alone. They also saw some of my accomplishments. I think today they are happy for me. Hachi: The only person who really mattered was my mom. She has always supported me. Whenever I finished a new tattoo, she was the first person I showed it to. And each time she answered me: « It’s very beautiful ». She was not very critical * laughs *. But she always encouraged me to follow the path I wanted, whoever she was. For my dad, it was a bit more complicated. But now that I live and feed my son, he supports me 100% too. Did you need to take private lessons, art or health perhaps? Haruka: I started working as an assistant at Studio Muscat after I arrived in Tokyo. I bought my own machine and learned to tattoo. I do not have specific art training but I have always drawn from as far as I can remember. I really like the traditional Japanese tattoo, so I learned the meanings and work methods that were behind this style while learning to tattoo. (To Haruka) If you want to work as a tattoo artist in Japan, is a particular degree necessary? Haruka: At the moment, there is an old law stipulating that you must have a doctor’s degree in Japan to work as a tattoo artist. Most Japanese tattoo artists see this as a bad idea and many people are campaigning for a specific tattooist license. During the year 2017, the Japanese government seemed to want to repress a little more the art of tattooing on its territory, as indicated by france24 in May 2017. Can you tell us where it is? And above all, explain to us why such a repression? Haruka: I think tattoos have a very long history in Japan. About 150 years ago, they became closely associated with criminals in some cases. However, there are hundreds of years of history before and after this period. 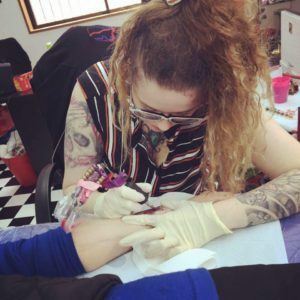 Tattoos are becoming increasingly popular for fashion with the younger generation, so I hope the stigma will disappear over time, as more and more people will learn to appreciate and understand tattoos better. Hachi: The young Japanese are starting to see this as an art, or a fashion. The Olympics are coming, Japan will have to make an effort. But I do not think it really moves. 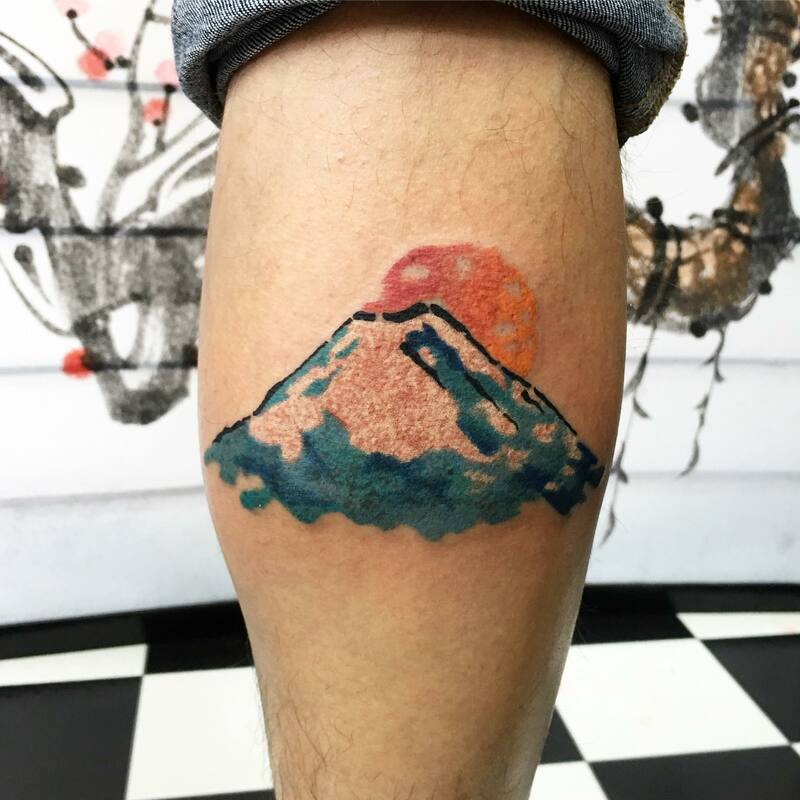 The negative image of the tattoo is anchored from the earliest childhood in the minds of the Japanese and it will be really hard to get rid of it. But I admit that being anxious by nature, I prefer not to keep up to date. But there is a Japanese collective trying to get things moving (Save tattooing in Japan). They have pages in English so do not hesitate to take a look and support them! 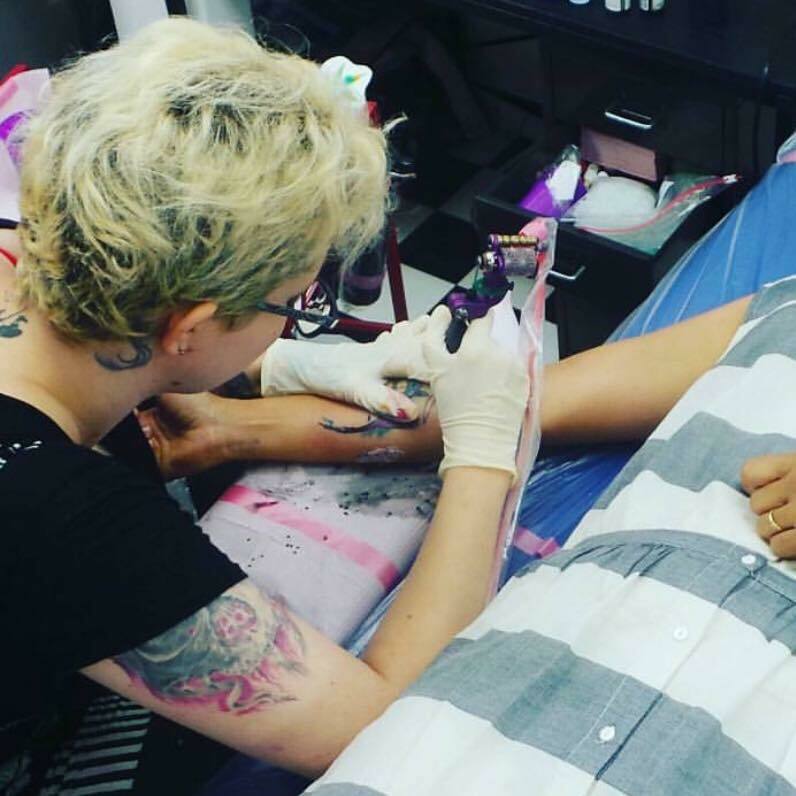 Have you ever been the victim of an aggressive or discriminating treatment because of your job or your tattoos? Or even your nationality for you Hachi? Haruka: I do not think I have been discriminated against, but some people are a little surprised by my work and some people ask me if my clients are related to criminals, which is obviously not the case. I hope this perception will change soon. Hachi: Of course. It’s known. As a tattooed I can not go to the gym, onsen, beach, water parks for example. In the summer, I’m stared at as soon as I step outside because the tattoos are visible (80% of my body is tattooed). To find an apartment, I had to visit 15 and file 10 files. Each time, I was denied rent because of my job. (To Haruka) When a tattooed European travels to Japan, tattoos are not a problem. It seems that for the Japanese, tattooing is a mode of aesthetic expression and differentiation that they tolerate more on foreigners. Why such a difference in perception? Haruka: I think there are several reasons, the designs are very different from the traditional styles that were favored by the criminals, so there is not much chance that a European is connected to the Japanese criminals. I think most people would realize that the vast majority of tattooed people in Japan are just ordinary people who like tattoos like fashion. Recently, we have heard a lot about the cultural appropriation of African people and people of African descent. How, the fact that Westerners can master the art of Japanese tattoo, is it perceived by your Japanese colleagues? Haruka: I’m happy when people take the time to learn the traditional style and there are artists who are really good. 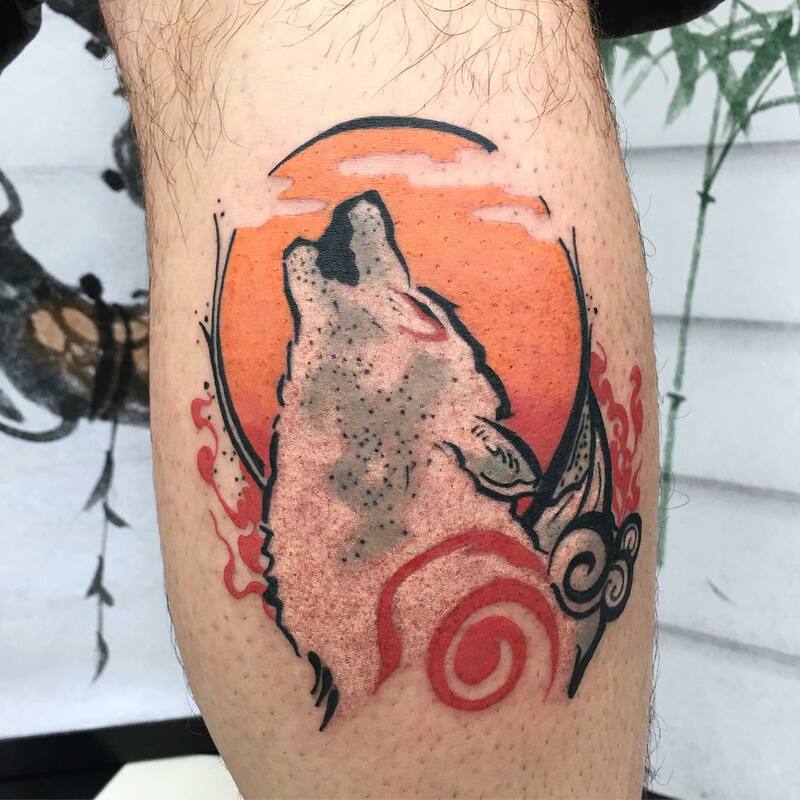 Some people, I think, could spend a little more time learning what traditional tattoos are in more detail although sometimes I have seen tattoos that are not quite traditional. 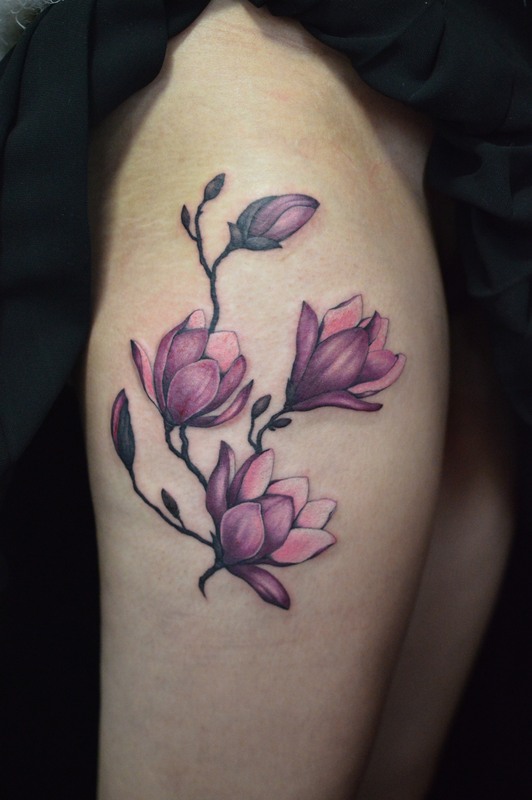 Hachi: There are foreign tattoo artists who make the Japanese style much more beautiful than some Japanese tattoo artists, especially in Asia (Taiwan, Hong Kong, Korea …), in the USA or even in France! Japanese tattooing is an art, I do not think we can talk about cultural appropriation. Just do things with respect. Hakura, places of Japanese tattoos are very discreet, compared to Europeans. Could you explain why? 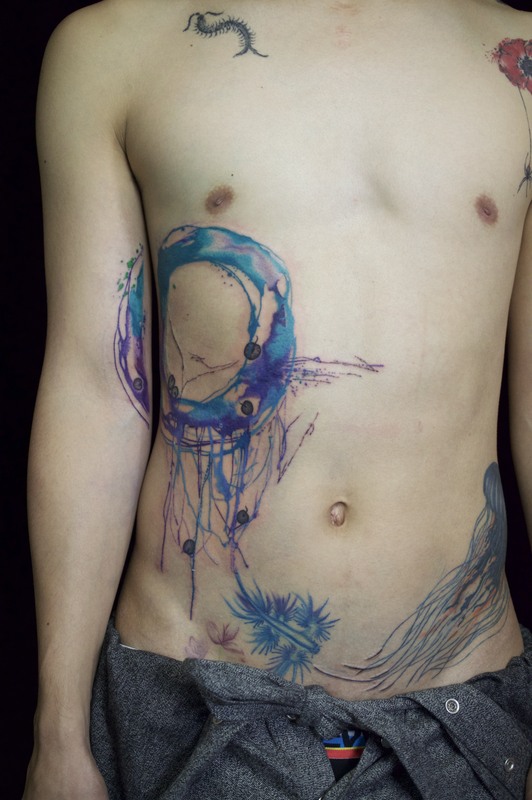 Haruka: I think it’s because there’s still stigma about the art of tattooing, so most studios try to be discreet. In France, moreover, women’s tattoos have increased, as shown by the 2016 IFOP study. Can you talk a bit about your clientele? Do you tattoo more women, more men, young people or maybe the elderly? 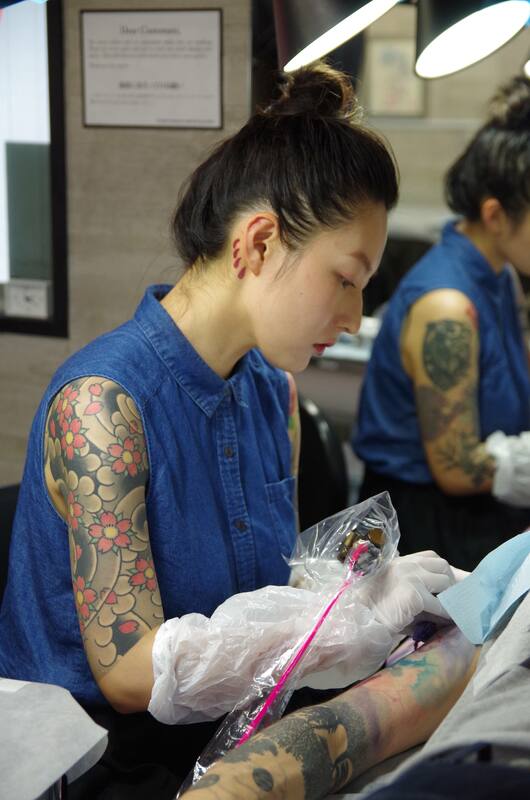 Haruka: I think I could have a few more female clients and maybe a few more people in their thirties and forties, but I’m lucky to be able to tattoo a very wide range of different types of people. 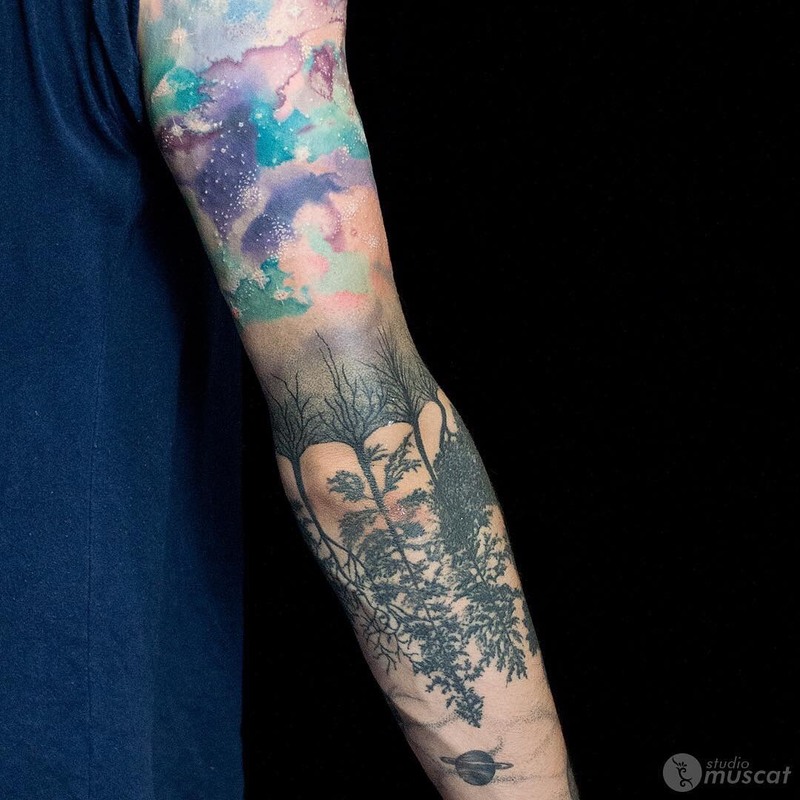 What type of tattoo is the most popular? Big or small? Haruka: I think I make smaller tattoos because we tattoo people who are only in Japan for a short time and are not able to get bigger pieces. The art of Japanese tattooing is full of different symbols. Does it come from the Shinto religion? Haruka: There are some symbols of Shinto but also other symbols of family emblems, the influence of Chinese culture and many other places. In 2020, Japan will host the Olympic Games. Some international athletes are tattooed, so how does the government plan to handle this aspect of the games? Haruka: I do not think there are any special changes for the Olympics, but hotels and hot springs have become a little more open about visitors with tattoos recently. (Question series for Hachi), your graphic style is inspired by pop culture and manga but also oriental codes with particular yokaïs or Japanese prints. When did you discover Japanese culture? Hachi: As mentioned above I have a Japanese license. But I started studying the language and its culture in high school, taking the Japanese LV3 option. It’s a country that has fascinated me for a long time. His language, his culture, his codes, his myths, his aesthetic … everything. You have chosen to practice your profession in Japan. Why such a choice ? Hachi: I did not really choose. I became a tattoo artist after becoming a resident here. I was trained by Japanese Japanese so I just continued to live in the country I had chosen. At the moment I stay because I feel good here, that I have my own tattoo parlor (Editor’s note: ARTEMIS) and that going back to France or going elsewhere would force me to start all over again, which I do not have too much want to do. Was it not too difficult for you, a little « gaijin » tattoo artist? Hachi: Yes and no. Japan is a country of opportunities, to succeed it is enough to want it and give it all. I continue day after day to give the best of myself. There were some very hard moments, but finally I start to reap the fruits of my labor. How is the daily life of an European tattoo artist with a style like yours in Japan? Hachi: Quietly. I have a 100% foreign clientele. Tourists or expatriates. I also have many customers who come back to see me every time in Japan. The tattoo is part of the holidays. Many have become friends, and I am very lucky to be surrounded as well. Without all these people who trust me I could not live on my art. So I keep it warm in my heart, And I continue to give the best of myself. I also regularly receive other tattoo artists from all over the world as a guest at my home. To be as well surrounded is happiness! As you will understand, tattooing is an art that has both its protectors and detractors, especially in Asian countries like Japan. 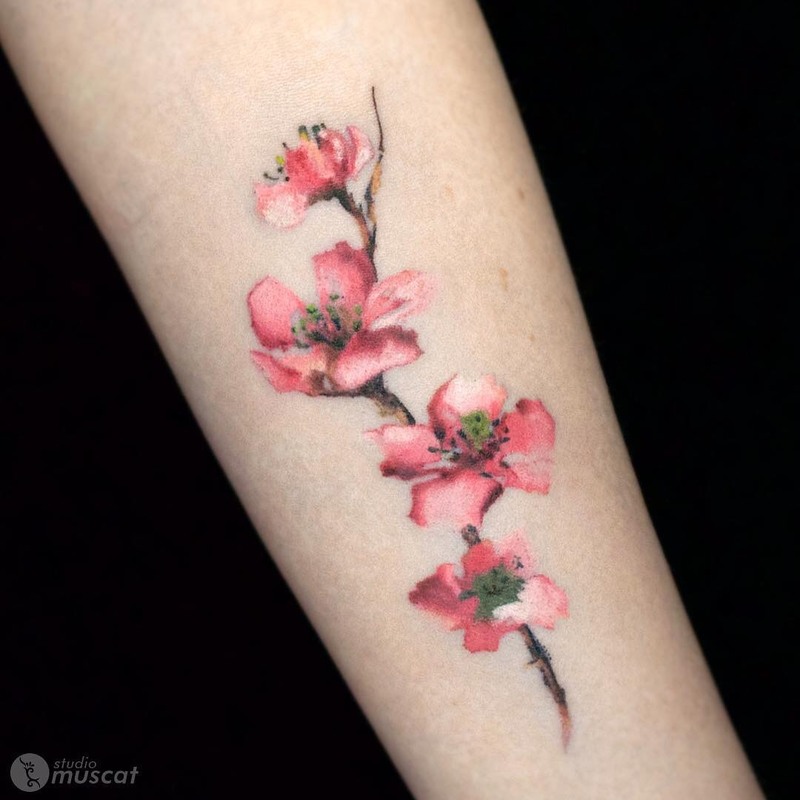 Technique to permanently change the appearance of your body, we recommend that you do not take this act lightly and think carefully before choosing to get tattooed, techniques to remove a tattoo are still unstable and very painful. And you ? Are you tattooed or do you plan to get tattooed? Thanks to Haruka from Muscat Studio and Hachi from Artemis for answering our questions. We wish you good luck for the future! Article suivant Hinomaru Sumô, le sport à l’âme guerrière !